The own resources structure and the own tool, equipped with most modern machinery, guarantee top quality from prototype to series production. 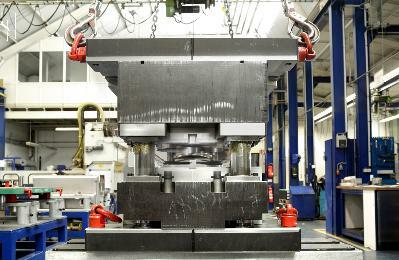 On the five-axis milling machine, we process difficult free-form surfaces in a single setting. Form tools, clamping and centring devices, trimming tools and devices for welded assemblies originate here – also made of hardened tool steel. The new, six-ton measuring machine standing in the middle of the new measuring room has a lot to offer with tactile measurement and laser scanner measuring. 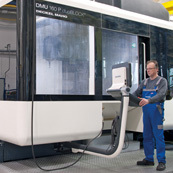 It can even handle large components with dimensions up to 2100 x 800 x 750 mm and determine sheet metal thickness. We will build tools for you with a total weight up to ten tons.